Trucks have gained a fair bit of popularity in the UK and more manufacturers are looking to produce them. Mercedes is the latest to jump on board! 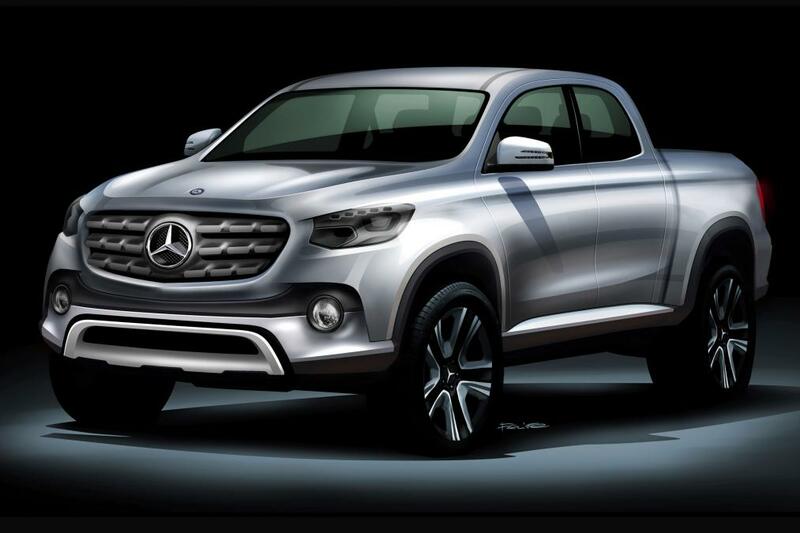 They have announced that there is a Mercedes pickup on the way that should be with us by 2017. There are plenty of well established pickup cars which has been a pretty niche market in the UK so far. They include the likes of the Isuzu D-Max, the Ford Ranger, the Volkswagen Amarok, the Nissan Navara, the Toyota Hilux and the Mitsubishi L200. Hyundai have also announced interest in the market, releasing a Santa Cruz crossover truck concept in January at the Detroit in January. So, what does the Mercedes Pickup have in store for us. From the pictures that have been released today you can see that we will have a pick up on our hands with typical Mercedes styling aspects with the front end of the car looking similar to the Mercedes SUVs that are already on the market such as the Mercedes Benz GL Class. The pick up features a double cab arrangement on a ladder chassis. You will get the choice of a four or six cylinder engine in both petrol or diesel. It is also expected that a Petrol Hybrid option will become available in the future. According to a spokesperson at Mercedes, “A similar example was the successful introduction of the M-Class around 20 years ago. As the first sport utility vehicle (SUV) from a premium manufacturer, the M-Class completely redefined the segment”. Mercedes is looking to do the same again by placing emphasis on the cabin feeling like a normal passenger car, rather than a work horse that is strictly business. That means it should be refined comfortable and spacious enough to fit 5 people without it being a squeeze. Furthermore we expect it will feature the high levels of user friendly technology that Mercedes uses in its luxury SUVs or the brands latest MPV the V-Class. There is a huge market in the United states for pick ups. Three of four of the US top selling cars in 2014 were full sized pick ups; the Ford F150, the Chevrolet Silverado and Ram 1500. However, Mercedes has decided to avoid the US market completely! They will only make it available to Latin America, South America, Australia and Europe initially.